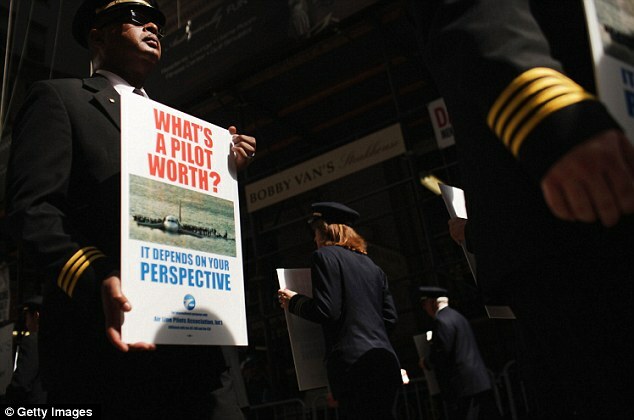 Subject: RE: [september17discuss] 700 airline pilots protested on Wall St on Wed 9/30 - did anyone see or talk to them? 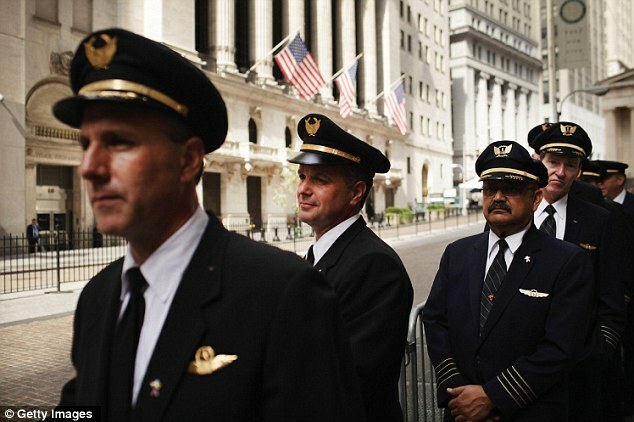 700 airline pilots protested on Wall St on Wed 9/30 - did anyone see or talk to them? 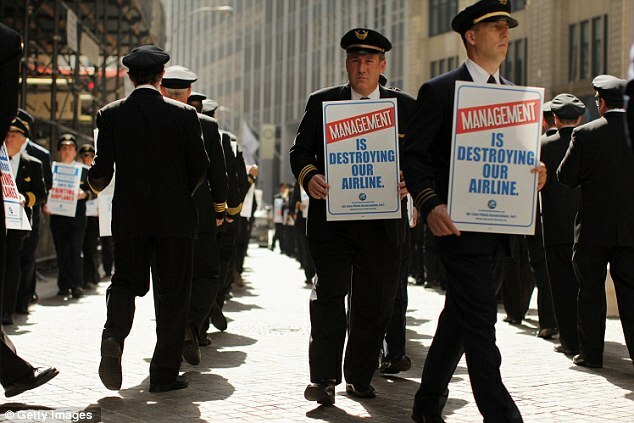 Wall Street saw yet another surge in protesters today - as hundreds of Continental and United Airlines pilots demonstrated in <?xml:namespace prefix = st1 ns = "urn:schemas-microsoft-com:office:smarttags" />New York City's financial district. United's union chairman, Wendy Morse, said safety issues and the union contract are separate, adding: 'United management continues to squander this golden opportunity to create the world class airline it promised to the employees, to the shareholders and to the flying public nearly 17 months ago when the United/Continental merger was announced. The longer these negotiations toward a joint collective bargaining agreement drag on, the less likely the company will be able to enjoy the benefits this merger offers. 'The company has wallowed in the weeds long enough. 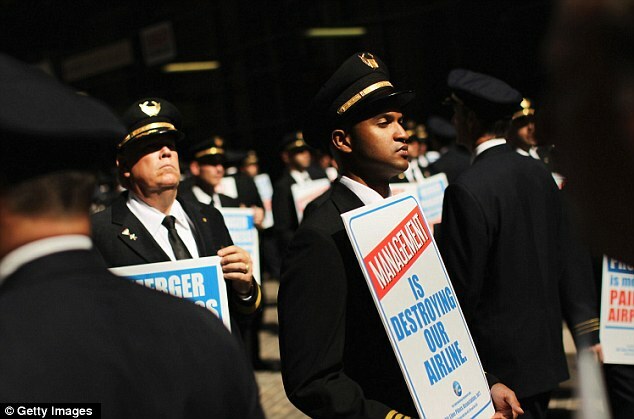 It's time for management to stop focusing on the minutia and turn its attention toward the issues that really matter to the pilots of United and get this contract completed. 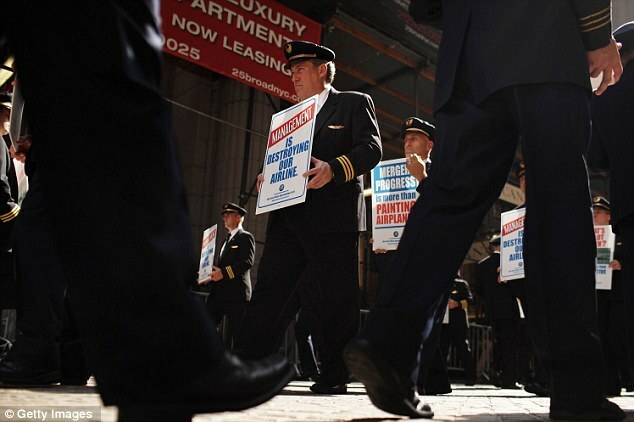 The days of our pilots laboring under a bankruptcy contract have to end,' she said. 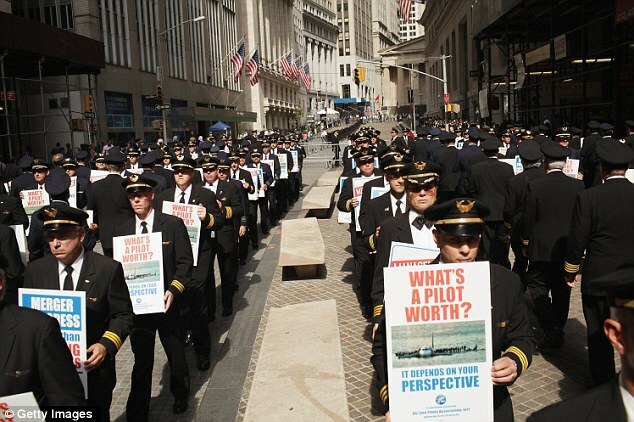 ALPA represents over 53,000 pilots at 39 airlines in the United States and Canada, including approximately 5000 at Continental and nearly 6,000 at United.